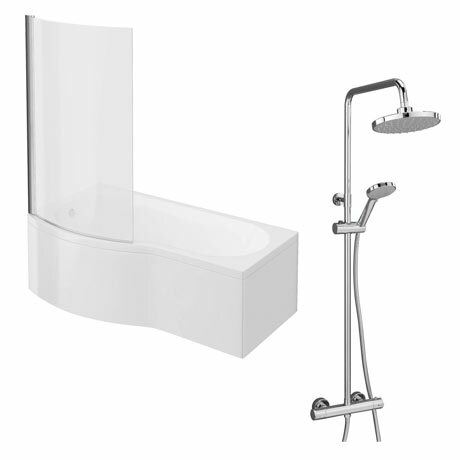 The Cruze shower bath with thermostatic Shower package, features a stylish overhead, rainfall type shower head and a handset too, for extra flexibility. Modern shower baths which allow showering and bathing space in the bathroom. This 1700mm shower bath comes with a curved hinged bath screen and matching front panel manufactured from high quality gloss white acrylic. For Gravity feed systems shower needs 5 meters of pipe between tank & shower head (we suggest using a shower pump).